Close your eyes and imagine the beach – smell the salt water, hear the ocean waves, and see the clear blue sky. Now you can get the essence of your favourite shoreside location at your very own table. 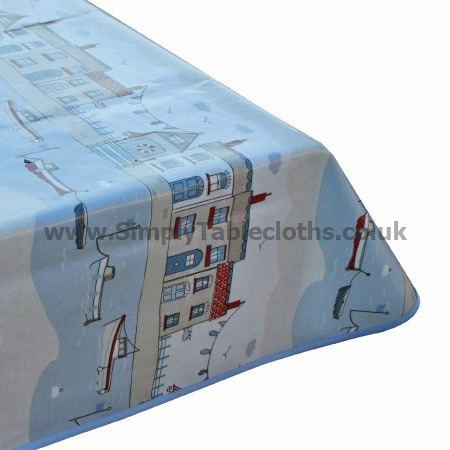 This oilcloth tablecloth brings the beach front into your home. Perfect for a beach house, or those who wish they were at the beach! The PVC finish allows for an easy wipe clean surface.